CIRCA 1919 - American infantrymen march in the French countryside. hd01:04CIRCA 1936 - Camp John Hay is shown as well as Igorots dancing in the mountains of Luzon in the Philippines. hd00:301950s: View of trees through a window. A farmhouse stands in the snow among bare trees. Childhood home of John Greenleaf Whittier. hd00:34CIRCA 1945 - Allied soldiers march over a river and through some woods in Holland. 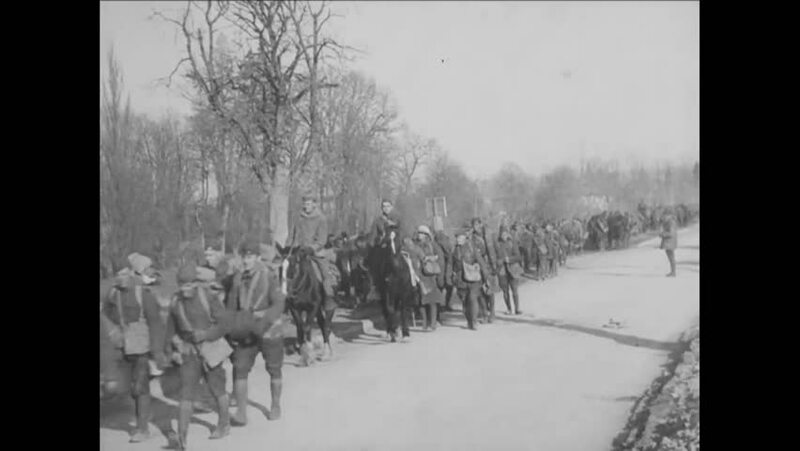 hd01:56CIRCA 1919 - The 78th French Army pulls guns into position near Villaines.